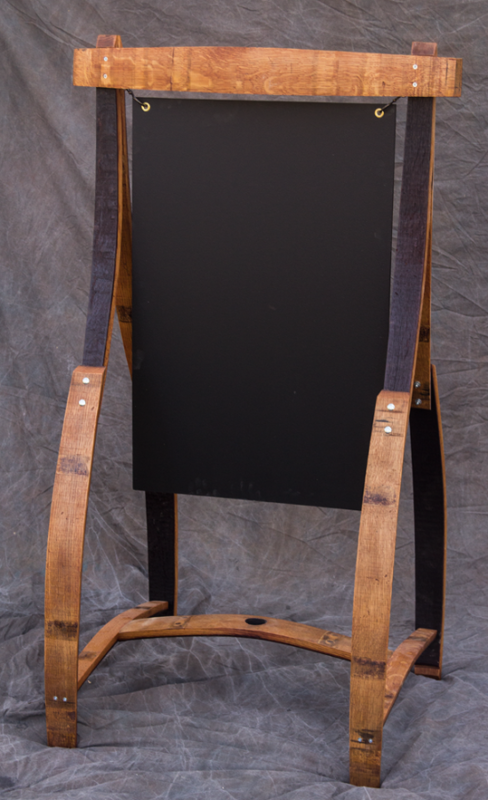 Our Tall Wine Barrel Chalkboard Easels are perfect for restaurants, wine bars, wine stores, tasting rooms and events where an eye-level display is needed. They come with either a white “dry-erase” board or a classic black chalkboard. The board has a huge 2’x3′ double-sided surface for displaying menus, wine lists, specials, directions, or whatever on the sidewalk, patio, lawn or floor. The board is hung from sturdy brass hooks via holes re-inforced with brass grommets, and is easily removed for updating or cleaning. You can optionally have any line of text (approx. 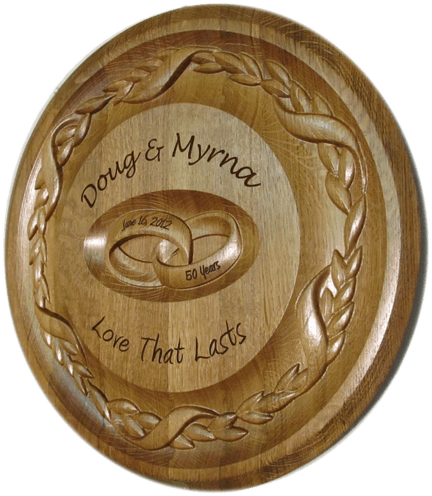 2″ high) carved into the top stave, and optionally painted – just like our stave signs. Or email us your logo or other artwork you would like carved and painted and we’ll provide a free design proof and quote. Please feel free to provide us any feedback, suggestions or questions in the box below. We highly value your input and will respond to all questions. 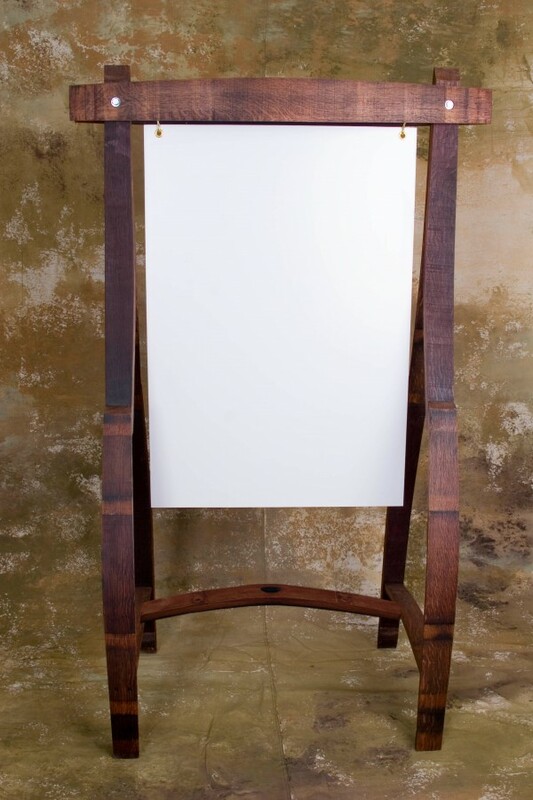 Our Tall A-Frame Chalkboard Easels are perfect for restaurants, wine bars, wine stores, tasting rooms and events where a tall eye-level display is needed. You can order yours with either a white “dry-erase” board or a classic black chalkboard. The board has a huge 2’x3′ double-sided surface for displaying your menu, wine list, specials, directions, or what-ever – indoors or out – on the sidewalk, patio, lawn or floor. The board is hung from sturdy brass hooks via holes re-inforced with brass grommets, and is easily removed for updating or cleaning. 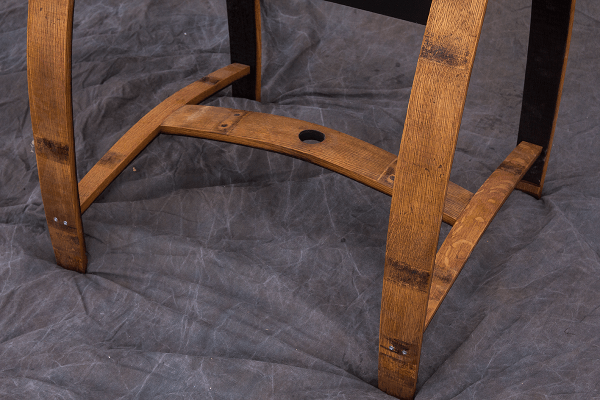 The frame is solidly constructed from recycled wine barrel staves used for aging red wine, so the insides of the staves are stained a rich burgundy (we use only non-toasted or lightly toasted staves so there is no dark charring). The staves are moderately sanded, leaving a somewhat “rustic” look, and finished with a high quality red oak exterior oil for a beautiful, long-lasting finish in any environment. 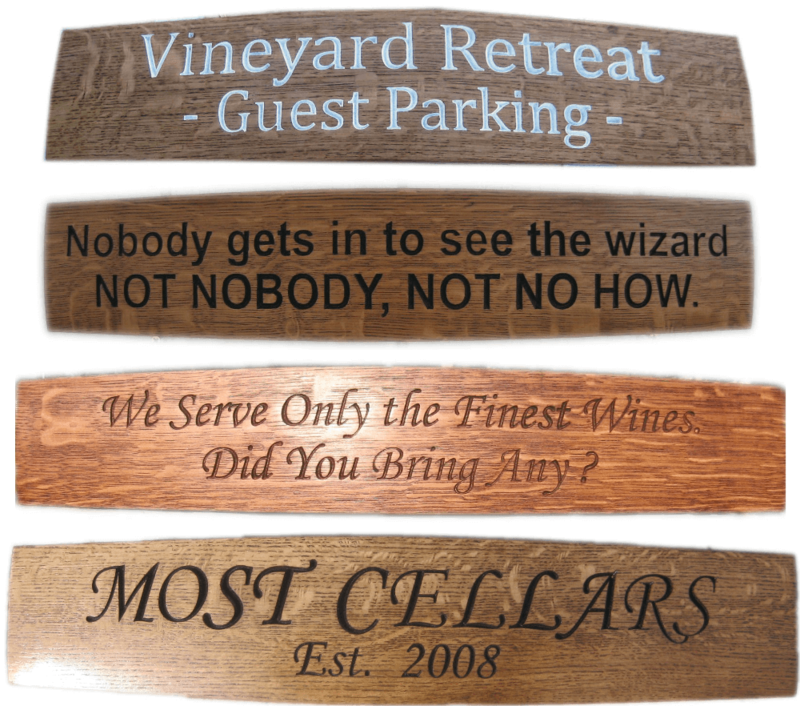 AND – for branding and/or just an extra touch of class – you can optionally have any line of text (approx. 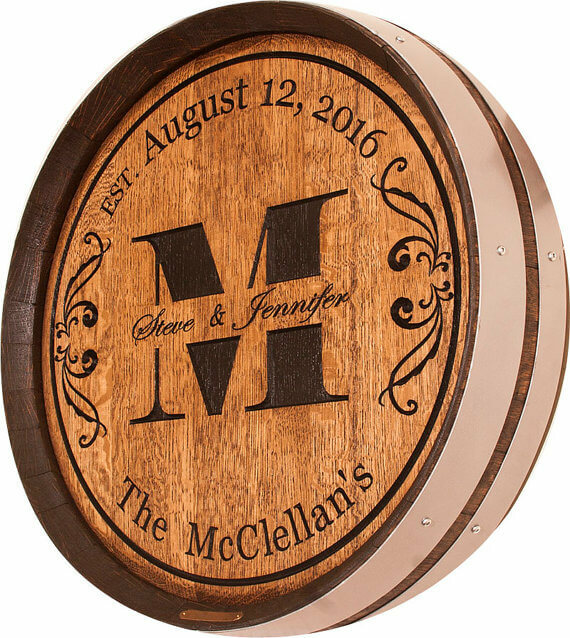 2″ high) deeply carved into the top stave, and optionally painted – just like our stave signs. OR – email us your logo or other artwork you would like carved and painted and we’ll provide a design proof and quote (if the price is affected). 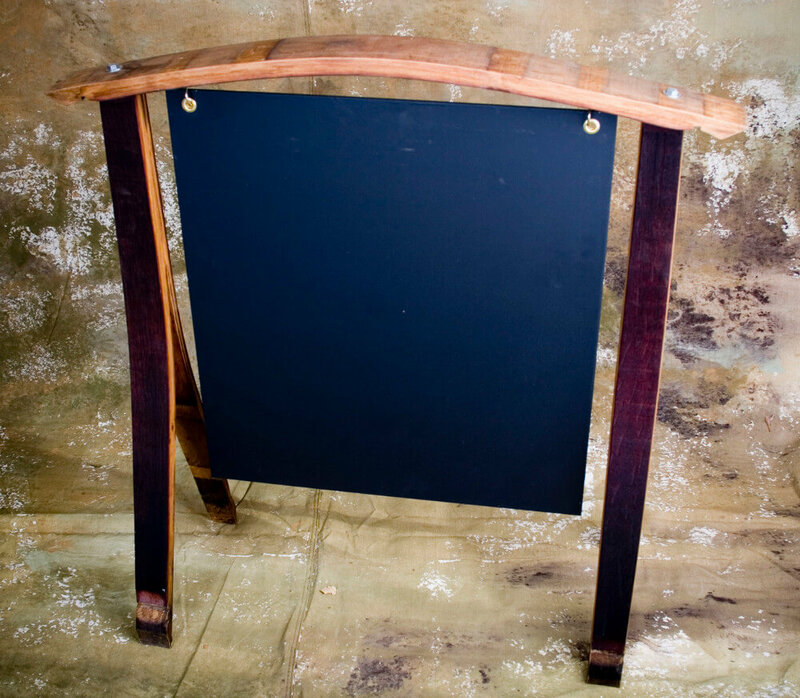 These A-Frame Wine Barrel Chalkboard Easels are perfect for restaurants, wine bars, wine stores, tasting rooms and events. They come with either a classic black chalkboard as shown, or a white "dry-erase" board. 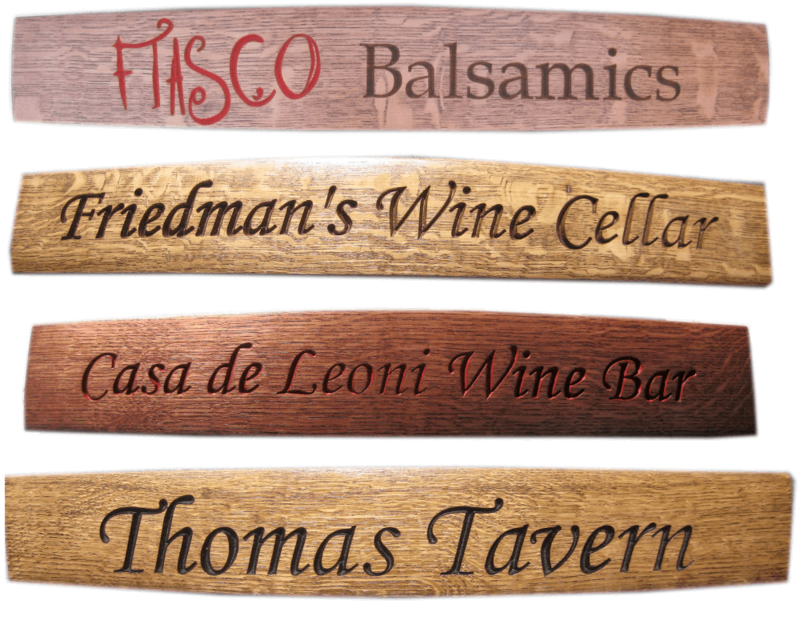 The board has a large 2'x2' double-sided surface for displaying menus, wine lists, specials, directions, or whatever on the sidewalk, patio, lawn or floor. 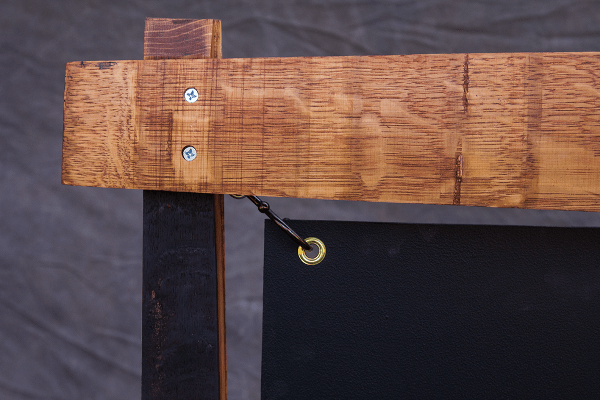 The board is hung from sturdy brass hooks via holes re-inforced with brass grommets, and is easily removed for updating or cleaning. You can optionally have any line of text (approx. 2" high) deeply carved into the top stave, and optionally painted - just like our stave signs. Or email us your logo or other artwork you would like carved and painted and we'll provide a design proof and quote.